Get high (variance) this Christmas with Pragmatic Play’s Irish-Xmas mash up featuring 20 paylines, random wilds, cash prize pick-me rounds, giant symbols and 3 free spins bonus rounds with up to 20 plays and 2x multipliers for your wins. There’s a top win of 6,000x available, but with high, high variance it’s going to be a rollercoaster ride. Play Leprechaun Carol from 20p to £100 per spin. Where Can I Play Leprechaun Carol Slot? Christmas time is about many things, and one of them for casino fans is festive slots. Not the most holy of traditions of course, but a tradition nonetheless. We’ve seen some tired old games rolled out over the years and 2018 is no exception. Fortunately, Pragmatic Play have broken the mould and done some serious work here to produce a slot that can make your Xmas go with a bang. The base game has some tasty treats in the form of three random features including plenty of wilds, pick-mes and colossal symbols. But these are mere stocking fillers compared to what is on offer in the bonus round, and as we know and love of our high variance slots, you don’t win much until you unlock those big free spins and notch up some multipliers. So get ready for some excellent high variance slot action as we take a look at this one in more depth. This is a 5 reel and 3 row slot game, with a very cheery looking Christmas scene in the background. There are 20 fixed paylines and a cheeky looking leprechaun clearly excited about his Xmas presents. You need to land identical symbols on adjacent reels on a payline to win. Low value symbols in this game are the cards, 10 through to Ace. There are also premium symbols made up by the glasses of stout, the top hats and the pipes – all leprechaun paraphernalia. The leprechaun himself is the most valuable symbols, paying out 50x for five on a payline. Look out as well for the Rainbow Wild which substitutes for all others bar the scatter. The wild also pays out 50x for five on a payline. Finally, there is also a scatter that will trigger one of three different free spins rounds with extra multipliers, colossal symbols and extra spins. Raining Wilds – Wild symbols are dropped onto the reels at random during a spin to create win lines. Pick a Fiddle – A simple pick-me round. Choose from five fiddles to win a cash prize. Giant Symbols –Watch out for 3×3 symbols appearing on the reels to increase the chances of a good win. The bonus round is where it’s at in this high variance slot so aim to land scatters to trigger the spins. Scatters need to land on reels 1, 3 and 5. There is a Scatter Nudge feature too which gives you the final scatter on reel 5 through nudges if you’ve already landed scatters on reels 1 and 3 first. Free Spins Picker –20 free spins and a 2x multiplier. Pick from a field of mushrooms as the start of the round to increase your free spins cache AND your multipliers. A good pick can also turn one symbol into a wild for the duration of the round. Coin Collector – 15 free spins and a 2x multiplier. During the round the scatter is replaced by a coin. Landing the coins will get your more spins and up to 6x multipliers. Giant Symbols – 3 free spins with a colossal symbol landing on each one. Pragmatic Play have delivered a fun slot that high variance fanatics are going to enjoy over the festive season. 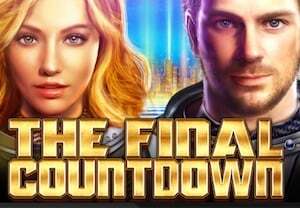 There are plenty of features to entertain you in the base game and when it comes to the free spins round there is the usual enticement of multipliers, extra spins and a big top payout – 6,000x – to get the blood pumping. If you fancy something a little less risky for Christmas then have a go on Jingle Spins from NetEnt.